Whiteman Osterman & Hanna's tax practice is comitted to understanding and achieving our clients’ business and personal goals. Our experienced attorneys, including three who have earned Masters of Laws (LL.M.) in Taxation, can address the entire spectrum of tax-related legal issues, and comprise a team unparalleled in the Capital Region. 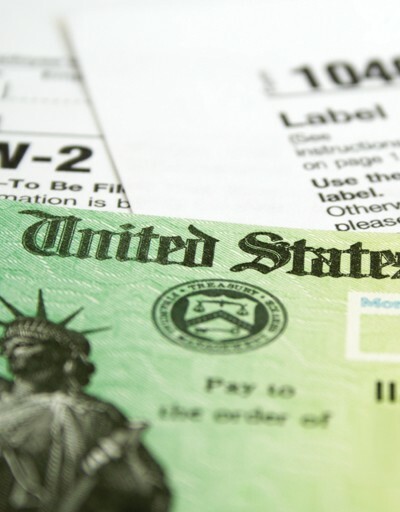 Our tax attorneys have represented taxpayers before the IRS and the New York State Department of Taxation and Finance. Services include handling audits of individuals and entities and representing clients at administrative levels within the IRS, the New York State Tax Appeals Division and Tax Appeals Tribunal, the United States Tax Court, and in other Federal and State Courts. Our team has provided comprehensive tax planning services and taxpayer representation for clients including technology companies, medical practices, manufacturers, banks, insurance agencies, real estate development companies, franchises (including auto dealerships), nonprofit and tax exempt organizations. Provided tax advice regarding capitalization of costs and accounting method changes for a real estate development project with hundreds of millions of dollars in project costs. Provided advice regarding entity structure and economic development incentives for a real estate development project with hundreds of millions of dollars in project costs. Provided tax advice for the sale of assets of a consolidated group of companies with Canadian/US cross-border tax issues in a deal valued at $150 million. Structured an ESOP transaction for a corporation valued at $45 million. Designed a phantom stock plan for a select group of management employed by a company with hundreds of employees. Provided advice regarding New York State sales tax and audit representation, for an out-of-state corporation making sales to New York customers. Provided advice to an industry-leading upstate manufacturer regarding succession planning. Choice of entity considerations for all types of business arrangements. All forms of business transactions, including asset and stock sales, buy/sell arrangements, joint ventures and tax issues raised by business operations. Entity and corporate reorganizations, mergers, acquisitions and dissolutions. Debt and equity financing transactions. Economic development, including New York State Empire Zone and Brownfield Redevelopment tax credits. New York State tax matters. Qualified and non-qualified retirement and benefit plans, including Employee Stock Ownership Plans. International tax, including Canadian/US cross-border transactions. As part of the commitment to a tax and commercial practice, Whiteman Osterman & Hanna’s attorneys have chaired and provided speakers and course materials for various seminars and speaking engagements including New York State Bar Association programs and Albany Law School courses. These efforts have made Whiteman Osterman & Hanna a leader in peer education and demonstrate a commitment to providing progressive and current tax advice to its clients. Our team provides comprehensive tax planning services and taxpayer representation for clients including technology companies, medical practices, manufacturers, banks, insurance agencies, real estate development companies, franchises, nonprofit and tax exempt organizations.